CLOSEOUTS. 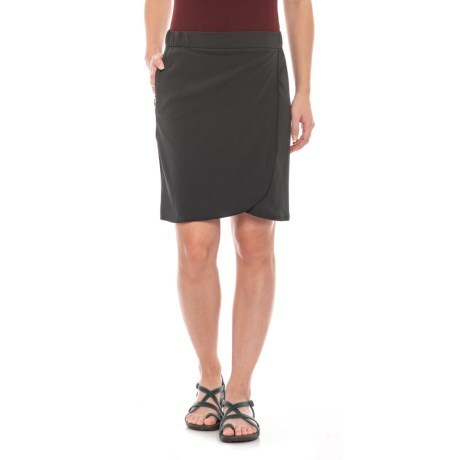 With its stretchy, wrinkle-resistant and fast-drying fabric, Toadandamp;Coand#39;s Whirlwind skirt is easy to care for and comfortable, whether you wear it to work or during vacation! Available Colors: BLACK. Sizes: XS, S.